From the murals and floors of churches, temples, and palaces, to the heart of our homes and our daily living spaces, mosaic art is definitely the most time-standing form of art to date. With a timeless sophistication and a “wow” effect, which in my opinion, no other art of decoration can match, mosaic tiles have become a widespread technique to decorate and embellish interior spaces. So what can you really do with mosaic tiles? If you’re short on ideas, here are some tips and suggestions that could inspire you. Decorating your walls with mosaic tiles will drastically transform the look and ambiance of your room. 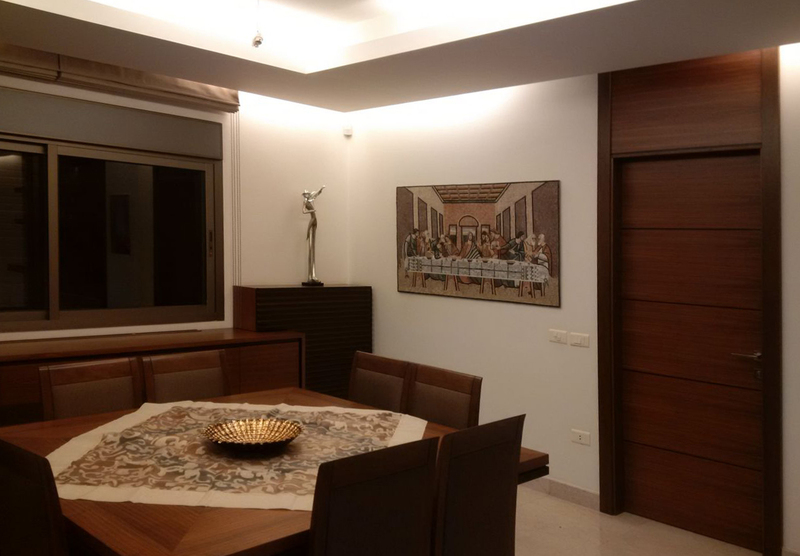 Whether you opt for a complete mosaic cover or just the embedding of a certain pattern, a contour, or a wall design, the result will be a complete delight to the eyes. 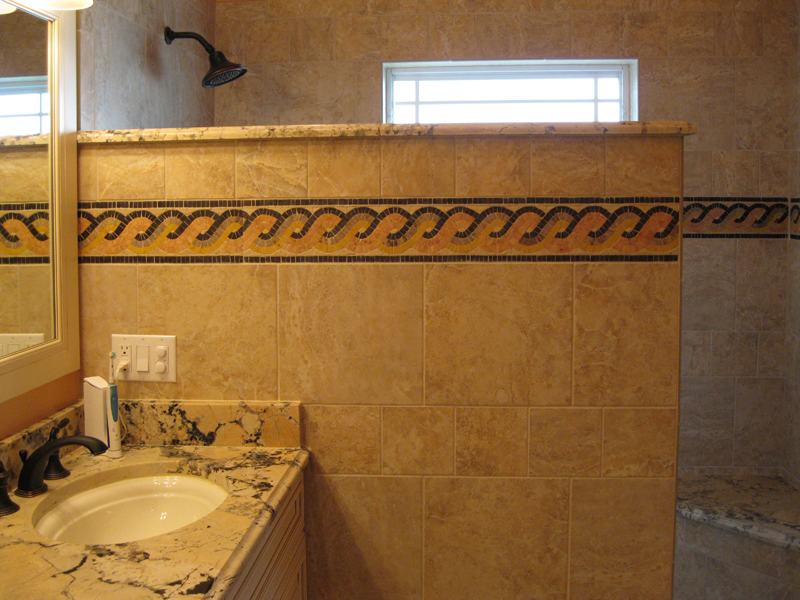 Play with mosaic tiles to create an eye-catching wall décor for your bathrooms. Options can vary from a backsplash to a countertop to a half-wall design. Mosaic designs can replace the dull monocular walls to create an interesting playful effect. 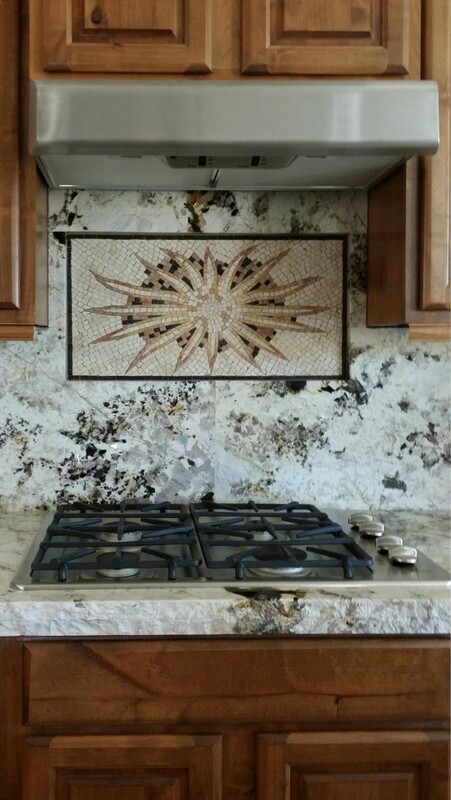 Just like in the bathroom, mosaic tiles can be used in your kitchen to create a colorful backsplash and countertop that would definitely transform women’s favorite space into a lively playground, making time spent here more appreciated. 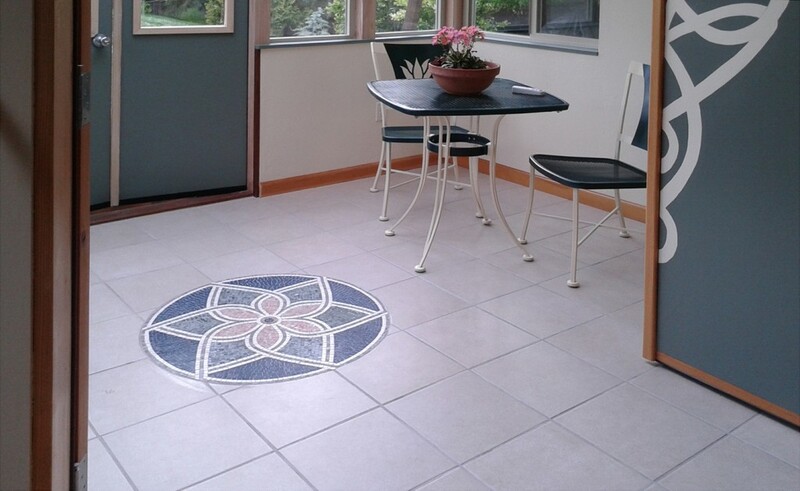 Mosaic tiles can very easily replace the high-maintenance rugs in your halls and living spaces. Not only they will spare you the time and hassle of looking for the right carpets for your interiors, regularly cleaning them and well preserving them, but they’ll also add a touch to your floors that no other decorative item can compete with. Mosaic rugs are timeless, low-maintenance, and an impressive touch of art everywhere. 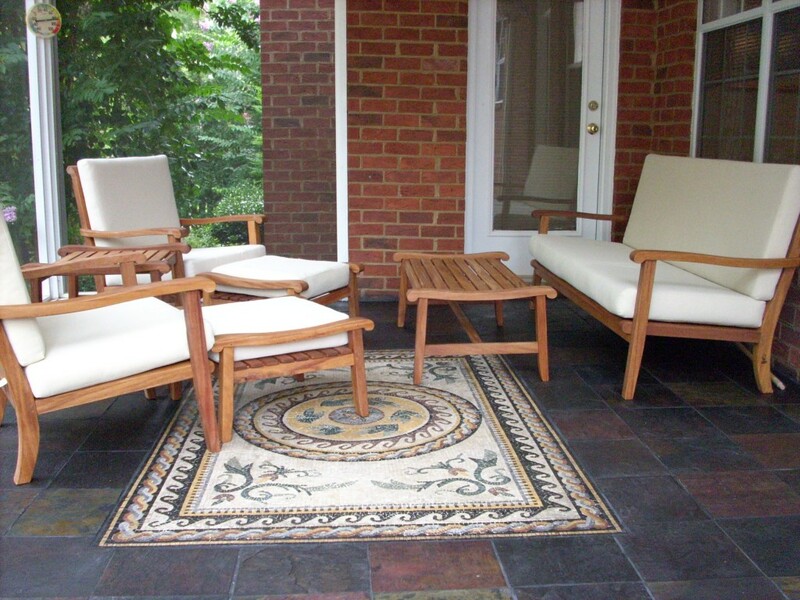 Yes, your outdoor spaces can also be a great playground for mosaic tiles! A touch of them can be so embellishing for your garden, your pool, your outdoor terrace, fountains, sculptures, or patio floors. You’ll be amazed at their spectacular effect and at how a touch of mosaic can brighten your spaces and transform their character. For more info about mosaic tiles and their usage, visit our website mosaicmarble.com.